Area : 3,702 square kms. 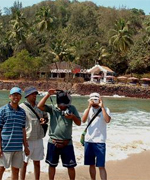 Goa, a tiny state, known as the 'Tourist Paradise of India' enjoys a renowned place in the traveler's guide. Situated on the west coast of the country, the state was liberated from Portuguese rule in 1961 and became a part of the Indian Union territory along with Daman and Diu. It became the 25th independent state of India on 30th May1987. Goa with only two districts South Goa and North Goa, is bordered by Maharashtra in the north, Karnataka in the south and east, and the Arabian Sea on the west. 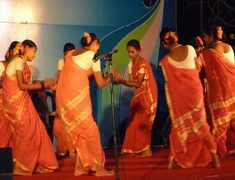 Even though Konkani and Marathi are the main languages, English is also widely spoken by the Goans. Goa is blessed with marvelous beaches and sunshine, splendid churches, and peaceful, warm and friendly people. 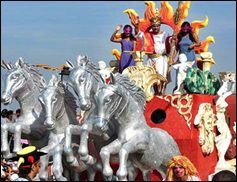 Best time to visit Goa is November to March. Goan cuisine, a blend of different influences especially Portuguese, is famous for its seafood. 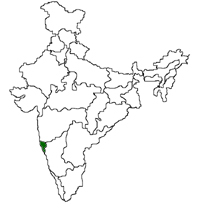 Goa is the smallest state of the Indian Union. It was part of the Union Territory of Goa, Daman and Diu. It became the twenty fifth state in the Indian Union on May 30th 1987 while Daman and Diu remained as union Territory.